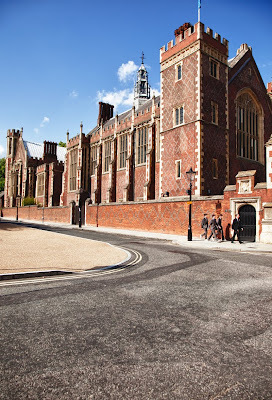 The buildings at Lincoln's Inn have been in here since 1422, although a society of lawyers of the same name has been in existence longer than that. As with much history the origins have more than one story. Was it named after Henry de lacy third earl of Lincoln or Thomas de Lincoln one of the searjeants at law? The Great Hall above was built in 1843 as the old hall had become too small. Officially opened by Queen Victoria in 1845. The Victorians were responsible for many grand buildings in London and much of the infrastructure. A grand building indeed (love the 3 'lads' following a rather grand looking gentleman). The Victorians sure did like their space! Nice one! It's a gorgeous building. Have a happy Wednesday MO! Is this IN London or up in Lincolnshire? I love that part of London. So quirky. This photo deserves being enlarged and then studied. It is handsome. 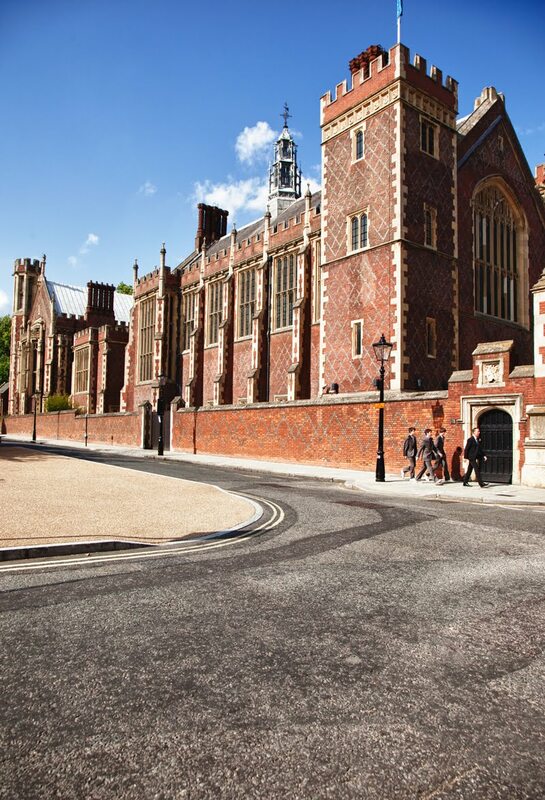 This is at Lincoln's Inn?! I've never seen it before, although I haven't spent much time there, admittedly. I'll have to pay it a visit, great shot of a lovely old building.